1. ‘Now’ by Morris Gleitzman. The third of the Once/Then/Now series. Loved the first two, let’s see what happens in the third. 2. 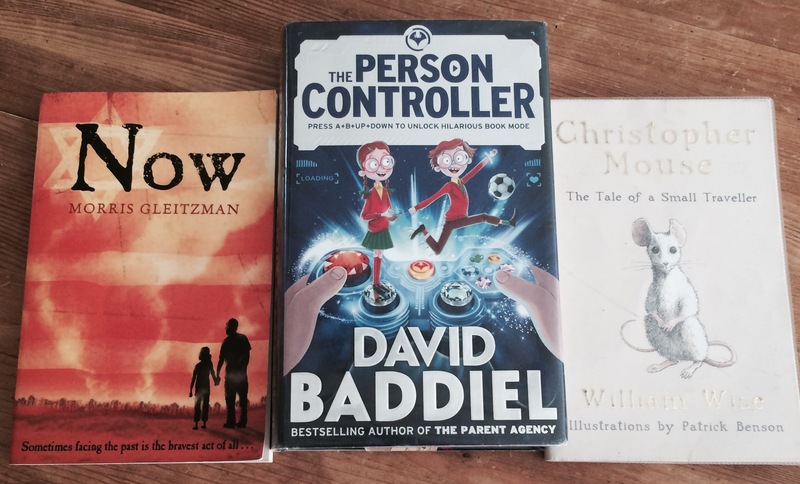 ‘The Person Controller’ by David Badiel. Thought his first book was witty and was well structured so I’m intrigued by his second book. 3. ‘Christopher Mouse’ by William Wise. A recommendation from Sophie! Previous Post eBooks vs paper copies! Next Post I finished Darkmouth! I hope you like Chritopher Mouse.